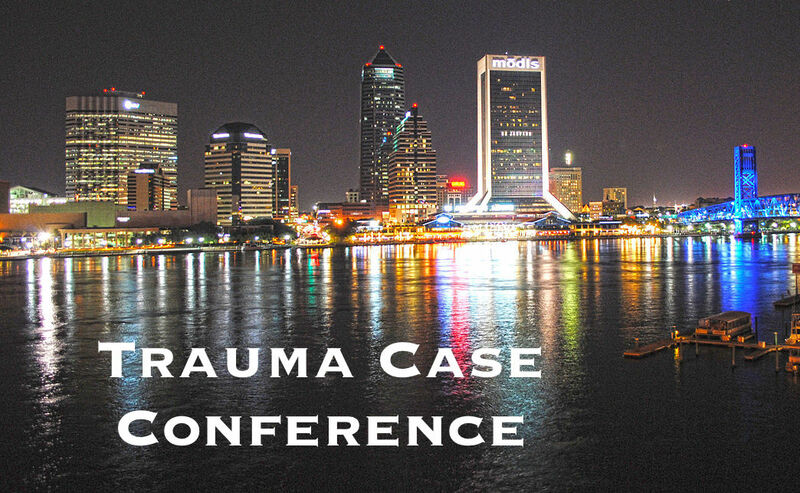 Welcome to another edition of the Trauma Case Conference where we discuss some of the pertinent management issues related to the care of complex trauma patients. This edition is presented by Dr. Gupta! A young female is transferred from outside hospital s/p presumed blunt trauma: pedestrian vs auto. The patient was in cardiac arrest in the field and proceeded to get CPR w/ROSC prior to arrival to the outside hospital. While there, the patient again arrested and had ROSC prior to transfer on dopamine infusion. On arrival, the patient is found to be pulseless with no signs of life. The patient underwent bilateral finger thoracostomies w/out return of air/blood and CPR with epinephrine prior to ROSC. She was found to have diffuse cerebral edema and grade IV bilateral internal carotid injuries – injuries suggesting brain death. Burnett P, Cameron P. Traumatic arrest, Trauma in Adults. Tintinallis Emergency Medicine A Comprehensive Study Guide 7th McGraw-Hill Education, 2010. Goila A, Pawar M. The diagnosis of brain death. Indian J Crit Care Med. 2009 Jan-Mar, 13(1): 7-11. Inaba K, Spangler M. Trauma Surgeons Gone Wild: How to Crack the Chest. EMRAP: 2017 January. Ramenofsky M, Bell R, et al. Resuscitative Thoracotomy, Thoracic Trauma. ATLS Student Course Manual. American College of Surgeons 2012:101-2. Seamon M, Haut E, Van Arendonk, et al. An evidence-based approach to patient selection for emergency department thoracotomy: A practice management guideline from the Eastern Association for the Surgery off Trauma. Journal of Trauma and Acute Care Surgery 2015 July, 79(1): 159-173.